Today I'm kicking off the tour for C.S. 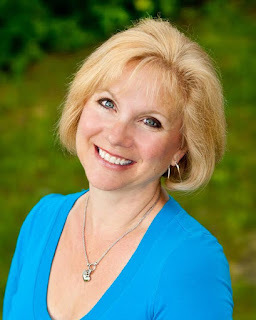 McDonald as she tours the third book in her Fiona Quinn Mysteries. These are cozy stand alone YA mystery novels that are clean and fun. Waves of Murder is perfect for summer reading. I just love that fresh cover. 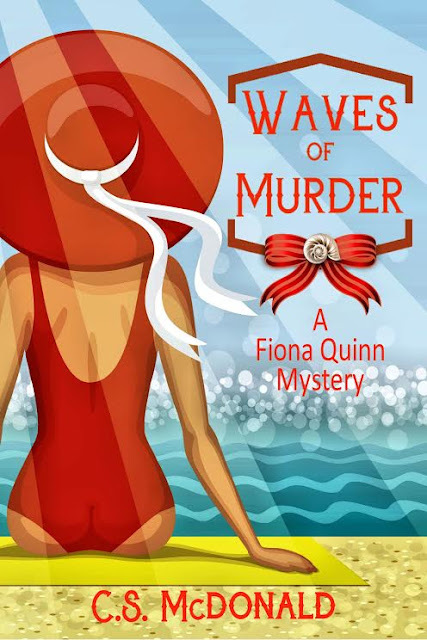 In this third instalment you can join Fiona and the gang for a hot whodunit on the sandy beaches of Presque Isle, Pennsylvania! Please help me welcome C.S. McDonald. You can read my interview with her below. Then continue scrolling so that you can enter the giveaway for the opportunity to win a signed copy! LCR: Welcome to Library of Clean Reads, C.S. You’re well known for your romantic suspense novels. What made you venture into the YA cozy mystery genre? C.S. : I love writing romantic suspense, and I still do. That said, I started writing children’s books for my grandchildren, and they adored them. However, grandchildren have a tendency to get older, and when my oldest granddaughter turned ten, she began to ask, when can I start reading your other books? Yikes! That’s what spurred me to start writing the Fiona Quinn Mysteries. I decided to write a series that anyone, everyone could read. I wanted to write something that a mom could enjoy, and then hand it off to her teen daughter without worrying about the content, and then the teen could give it to her tween sister for her to enjoy as well. I think I’ve accomplished that goal with Fiona Quinn—everyone seems to love her, and the quirky Detective Landry too! LCR: You also write books for children. Can you tell us more about George the Pony books? C.S. : *giggle* Believe it or not, George is actually a real pony! He was delivered to our farm about three years ago. He and I did not get along—at all. He was as ornery as the day is long, and when he was let out to pasture with my husband’s Thoroughbreds, he would bully them mercilessly! I watched from the deck and I thought, hey, there’s a story here! I set out to write George the Boss. Well, not only did my grandchildren love the books but so did other children, and so I wrote George Goes to Camp—a lesson in diversity, and George Turns Green—a lesson in handling one’s jealousy. The books have been very popular at author events. LCR: You tend to write books in a series. Did you do this intentionally? Or did it just turn out that way? C.S. : I’m a creature of habit. And I like to read series’. I like to keep track of characters, and I believe a lot of readers do as well. There is a certain amount of comfort found in becoming familiar with characters as a writer and as a reader. I may write a single book someday—we’ll see. LCR: What is the hardest part about writing a series? The easiest? C.S. I think the hardest part of writing a series is making sure that each book has a completely different story line. One doesn’t want their readers to become bored with a series because the books are basically the same. While characters have personalities, and the personality should carry throughout the series, you need to be sure the stories differ and each story is intriguing. As far as what is easy, I’m not sure there is anything easy about writing, but as I said earlier, there is comfort in working with familiar characters. C.S. While I’ve spent a lot of time watching Downton Abbey and Victoria (a series on PBS about the life of young Queen Victoria) I know, for certain, that I would not like to travel back into those times—they were rough! I think I’d like to return to my childhood and revisit places we used to go and things we used to do. Are there things I would do differently? Absolutely! That said, I was a child during the 60’s—and they were truly wonderful years. LCR: Any advice for first-time authors? C.S. : Make sure you have a good editor. Believe me, good editors are very hard to find. Do not turn in a book that has been edited by your mom or your best friend, or worse, do not turn in a book that has not been through an editing process. That said, the fact is that even after using an editor mistakes happen—it’s frustrating to say the least. Currently, I have been using an editor AND a proofreader. I hope Waves of Murder is flawless! Thanks for this captivating and wonderful giveaway which would be ideal for my granddaughters. I enjoyed the author interview and agree entirely about travelling back to the 1950's when I grew up and experiencing this unique and simple but great era which was filled with good experiences and real life with family. My granddaughter loves the Fiona Quinn Mysteries as do my nieces--my granddaughter is 11 and my nieces are in their teens. Thanks so very much for hosting Waves of Murder today!